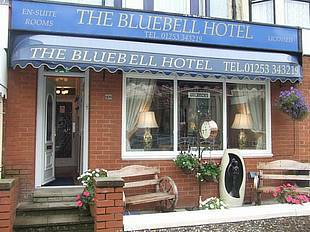 A very warm welcome awaits you at the Bluebell Hotel. We’re very careful to make your stay as comfortable and relaxing as possible. We try to provide the perfect service that is flexible and suits all of your needs. From business to pleasure, The bluebell hotel is ideal for you. The dining room is comfortably furnished, spacious and well appointed. We will even help you start the day with a delicious home made breakfast. 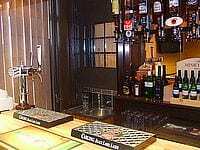 The Bluebell Hotel have a fully stocked and licensed bar, with a range of ales, beers, wines, spirits for a range of tastes and occasions. 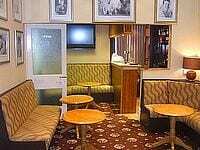 The Bluebell is a perfect place to finish the day with a relaxing drink. Our comfortable, tastefully decorated rooms are equipped with colour television, tea and coffee morning tray and central heating (when the weather requires it). 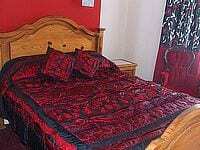 Our en-suite room have larger than average shower rooms and tastefully decorated to a high standard. All bedrooms and shower rooms are now non-smoking. To ensure our enviable high standards, and our guest’s complete comfort, all rooms are serviced on a daily basis. En-suite rooms hair dryers, tea and coffee, colour TV’s in all rooms, (most are a large flat screen). Place Categories: South Pier, South Pier Couples, South Pier Disabled Friendly, South Pier Families, South Pier Gay Friendly and South Pier Groups.